I am a primatologist; that is, a scientist who studies the behaviour, abundance and conservation status of monkeys, lemurs and apes. My specialty area and the focus of my PhD research here at University College London, is the plight of the gibbons, the smallest of the apes. Gibbons are often forgotten in the shadow of their great cousins — the orangutans, chimpanzees, bonobos and gorillas — receiving less funding, as well as research and media attention. This is very unfortunate seeing as 19 of the 20 species are on the brink of extinction. The Hainan gibbon, for example, is the world’s rarest primate with a mere 26 individuals making up their entire global population. 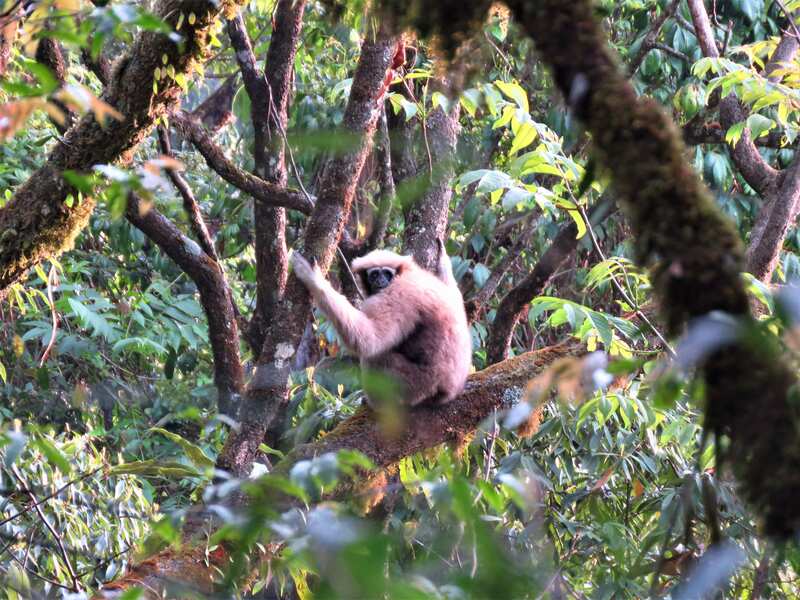 I am always thrilled therefore to see media articles raising some much needed gibbon awareness, even if the news story doesn’t always paint us humans in the best light. 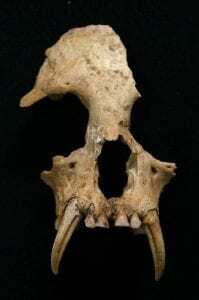 In 2004, one of my supervisors from the Zoological Society of London, stumbled across a gibbon skull inside a tomb in Xi’an, Shaanxi Province, China. The skull is believed to be ca. 2,200-2,300 years old and the potential property of Lady Xia, the grandmother of China’s first emperor, Qin Shihuang, who is famous for his striking terracotta army. Inside this ancient tomb was a whole menagerie of other animal skeletons including a crane, bear and a leopard — yet another example of human-animal relationships that have dated back millennia. The skull of Junzi imperialis. (Photo credit: Samuel Turvey). Although this exciting discovery could tell us a lot about our evolutionary shared ancestry with gibbon species, there are still many unanswered questions. We are unsure if the skull, now said to belong to Junzi imperalis (meaning the ‘imperial man of virtue’ due to the strong historical relationship between humans and gibbons in Chinese culture) is in fact a new species and where it came from. There are strong indicators, however, suggesting that this potentially new species of gibbon could be the first ape to have vanished off the face of the earth due to human pressures. Now extinct, we need to look at our current impact on the planet to ensure we don’t do the same with our other cousins. Part of my PhD research examines the relationship between humans and animals, especially amongst local communities found in gibbon habitat regions. 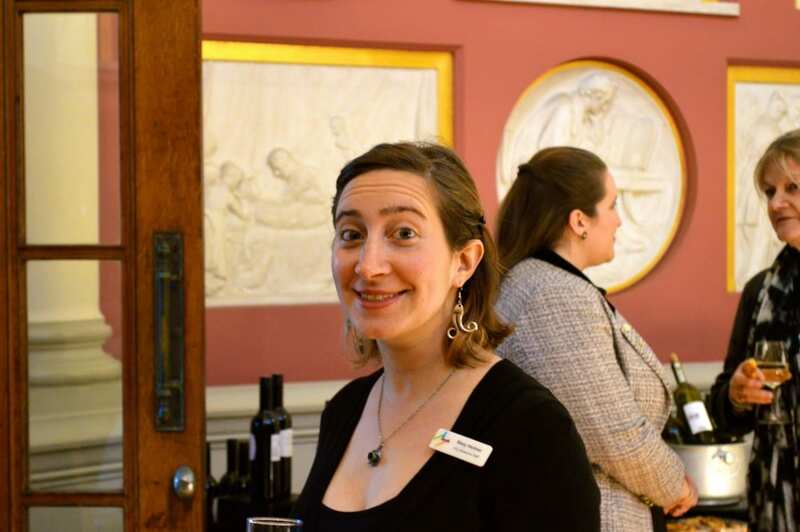 This intrigue, along with my love of mingling with the public, led me to my new role as a Student Engager in the UCL museums. For example, the Ancient Egyptians also had a strong connection with animals which I hope to explore over the coming months in the UCL Petrie Museum, and the Grant Museum of Zoology also has a couple of gibbon skeletons hanging around. Come and see for yourself! This post is associated with our exhibit Stress: Approaches to the First World War, open October 12-November 20. A pig’s skull may not be the first thing that comes to mind when thinking of stress. You may not think of non-human animals at all. However, humans are not the only animals that experience stress and related emotions. Many of the behaviors associated with human psychological disorders can be seen in domestic animals. Divorced from the dialogue of consciousness and cognition, animals have been seen exhibiting symptoms of depression, mourning, and anxiety. Wild animals in captivity ranging from elephants to wolves have exhibited signs of post-traumatic stress disorder; this is also an argument for why orcas in captivity suddenly turn violent. According to noted animal behaviorist Temple Grandin, animals that live in impoverished environments or are prevented from performing natural behaviors develop “stereotypic behaviors” such as rocking, pacing, biting the bars of their enclosure or themselves, and increased aggression. Many of these bear similarities to individuals with a variety of psychological conditions, and (most interestingly) when given psychopharmaceuticals, the behaviors cease. The First World War unleashed horrors on human soldiers, resulting in shell shock (now called PTSD). However, many animals were also used, including more than one million horses on the Allied side, mostly supplied by the colonies – but 900,000 did not return home. Mules and donkeys were also used for traction and transport, and dogs and pigeons were used as messengers. (Actually, the Belgians used dogs to pull small wagons.) Since the advent of canning in the 19th century, armies no longer had to herd their food along, but apparently the Gloucestershire Regiment brought along a dairy cow to provide fresh milk, although she may have served as a regimental mascot as well – some units kept dogs and cats too. Horses in gas masks. Sadly, they often confused these with feed bags and proceeded to eat them. Credit Great War Photos. The RSPCA set up a fund for wounded war horses and operated field veterinary hospitals. They treated 2.5 million animals and returned 85% of those to duty. 484,143 British large animals were killed in combat, which is roughly half the number of British soldiers killed. Estimates place the total number of horses killed at around 8 million. “Goodbye, Old Man” used in a poster. Credit RSPCA. Historical texts tend to consider horses and other animals used in war as equipment secondary to humans, and even the RSPCA only covers their physical health. Horses don’t only have relationships with their riders, but with the other horses nearby and with the environment. They can easily be frightened by loud noises, not to mention explosions, ground tremors from trench cave-ins, and other things that scared humans sharing their situation. Many horse owners (many pet owners, in fact) argue that their horses have and express human-like emotions. Even if we can’t verify this scientifically, we can observe that horses experience fear, rage, confusion, gain, loss, happiness and sadness. Grandin argues that horses have the capacity to experience and express these simple emotions as well as recall and react to past experiences, but are unable to rationalize these emotions: they simply feel. It’s impossible to say whether that makes it more frightening for a horse or a human to wade through a field of dead comrades. In Egypt, I took a horse ride around the pyramids. The trail led us through what turned out to be an area of the desert where stable owners execute their old horses, resulting in a swath of rotting corpses. I was shocked, and my horse displayed all the signs of fear: ears pinned back, wide eyes, tensed muscles. He recovered after we’d left the area, but I wondered what psychological impact having that experience day after day would cause. If they are able to remember frightening experiences, they might be able to experience post-traumatic stress and be as shell-shocked as the returning soldiers. British soldiers reported that well-bred horses experienced more “shell-shock” than less-pedigreed stock, bolting, stampeding, and going berserk on the battlefield – all typical behaviors of horses under duress, – but did not elaborate on the long-term consequences of this behavior. 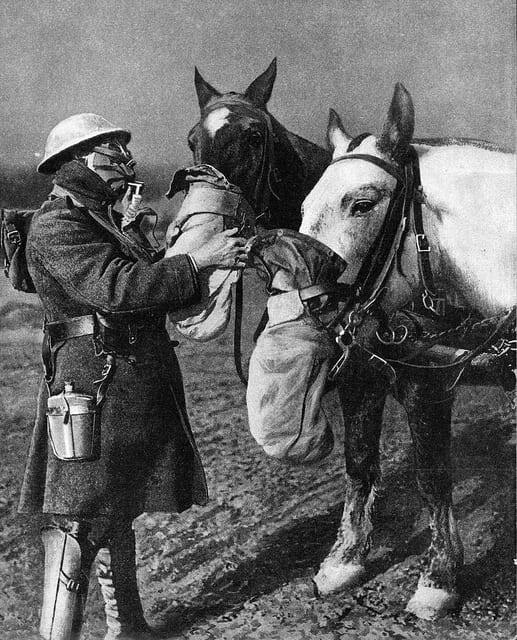 It would be interesting to explore accounts of horses that survived the war (and were returned to their original owners instead of being sold in Europe or slaughtered) to see whether they exhibited more stereotypical behaviors of stress and shell-shock just as human soldiers did. Thanks to Anna Sarfaty for advice. Animals in World War One. RSPCA.org. Bekoff, Mark. Nov 29, 2011. Do wild animals suffer from PTSD and other psychological disorders? Psychology Today (online). Flynn, Jane. 2012. 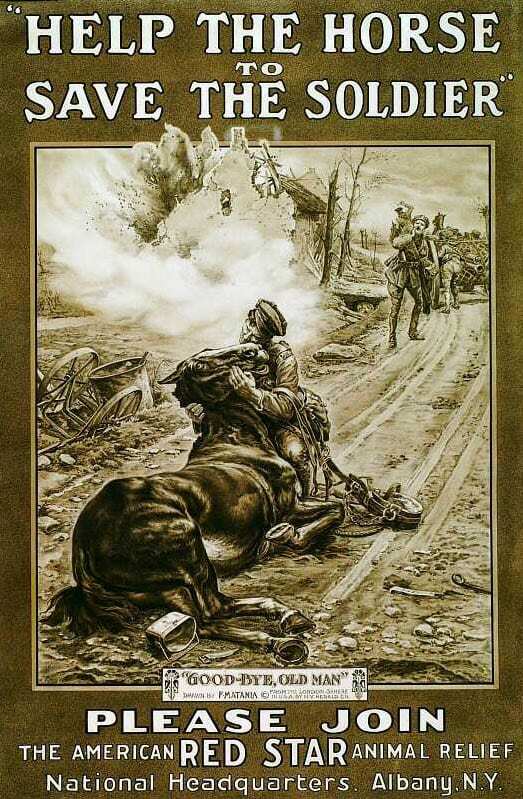 Sense and sentimentality: a critical study of the influence of myth in portrayals of the soldier and horse during World War One. Critical Perspectives on Animals in Society: Conference Proceedings. Grandin, Temple and Johnson, Catherine. 2005. Animals in Translation: Using the Mysteries of Autism to Decode Animal Behavior. New York: Scribner. Shaw, Matthew. ND. Animals and war. 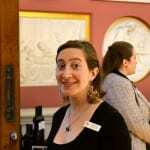 British Library Online: World War One. Tucker, Spencer C. (ed.) 1996. The European Powers in the First World War: An Encyclopedia. New York: Garland.